The WZB building is in close proximity to Potsdamer Platz. Until 1945, the original building housed the Reichsversicherungsamt, the highest supervisory and legal authority of social insurance in the German Empire. The British architects James Stirling, Michael Wilford & Associates significantly renovated the old building and integrated it into a complex of postmodern annexes. 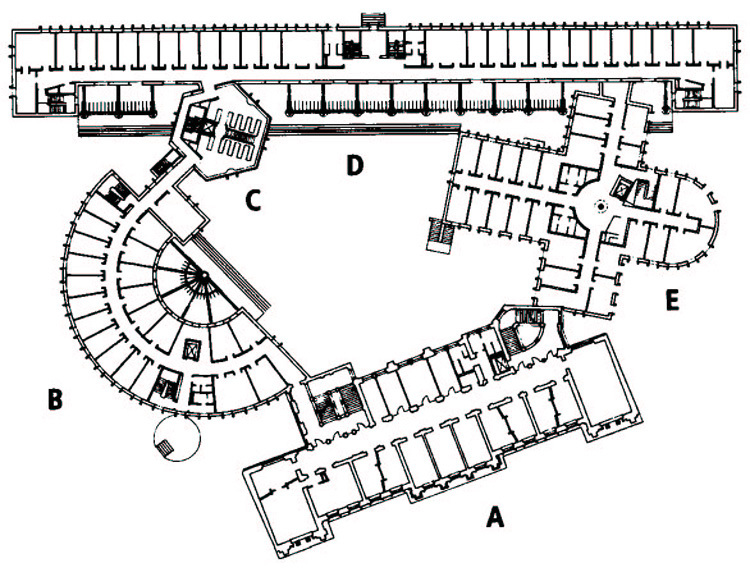 The floor plans refer to well-known forms from architectural history: amphitheater, campanile, stoa and basilica. The new building was completed after four years of construction.